President-Elect Barack Obama is probably the first president to extensively use the internet as a medium for his campaign. Obviously, during the campaign Obama has amassed millions of followers using social media, and lots and lots of videos. Now that he will be the next president, Obama is likely to continue using the web to reach out to his constituents. The weekly radio address by the President has been an American tradition since the time of President Franklin Roosevelt. 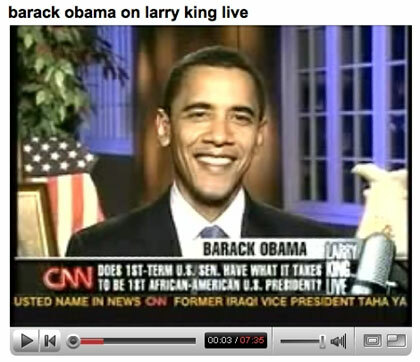 In fact Obama’s transition site Change.gov will be posting archives of the speeches on the site as well as on Youtube. Moreover, the Washington Post also reports that the Obama administration will be launching a Youtube channel to broadcast the president’s weekly speeches. This will be the first time that a US president will be using a third party platform to host these speeches. President Bush’s weekly speeches were privately hosted on WhiteHouse.Gov’s servers. So, does this mean that Barack Obama will be running a transparent government by sharing most of his moves with the public via the internet? Maybe, he’s been lobbying for it during the whole campaign. Critics however were fast to point out that Obama has not updated his Twitter account since after winning the elections. Still, the use of social media on the web for political purposes has really proven effective and hopefully will prove even more effective when running the country.